This Space Available interviewed Baratz-Logsted this week, and asked why she focused on a lesser-known Apollo 11 astronaut, and discussed the importance of keeping young adult books historically informative, but entertaining. Note: some book spoilers included. 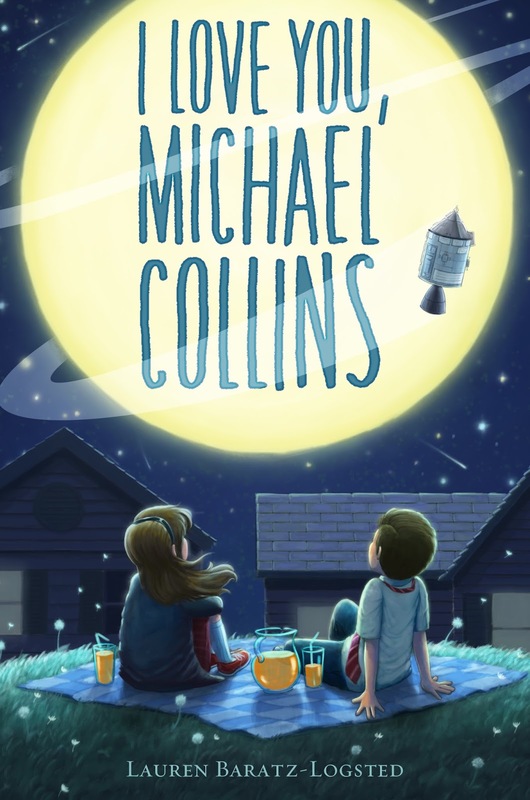 This Space Available: Your newest book, I Love You, Michael Collins, focuses upon one little girl’s fascination with the 1969 Apollo 11 mission, set against the background of deteriorating family relationships. First of all…out of all the Apollo astronauts, why Michael Collins? While he’s a NASA icon, he isn’t nearly as well-known as his two Apollo crew mates. As an author, why did you choose him as Mamie’s letter recipient? Lauren Baratz-Logsted:Well, like Mamie says, he’s the best one! Seriously, I think all astronauts – past, present and future – are fantastic. But I must say, Michael Collins does hold a special place in my heart. I love the fact that he graduated only somewhere in the middle of his cadet class of hundreds, and yet with hard work and determination, he made it so far. I also love his attitude about things. Like Mamie expresses in the book, I think a lot of people assume it would be disappointing to come as close as Michael Collins does in the book to the Moon and yet be the only one of the three astronauts on Apollo11 denied the opportunity to walk on it because he has to stay with the ship. Of course, that’s one of the big themes of the book – the idea of staying with the ship and what that means, both to Michael Collins and Mamie – but from everything I’ve ever read, I don’t think Michael Collins was ever disappointed at all. I think Michael Collins is that rare human being who knows how to be happy in the moment he’s living. 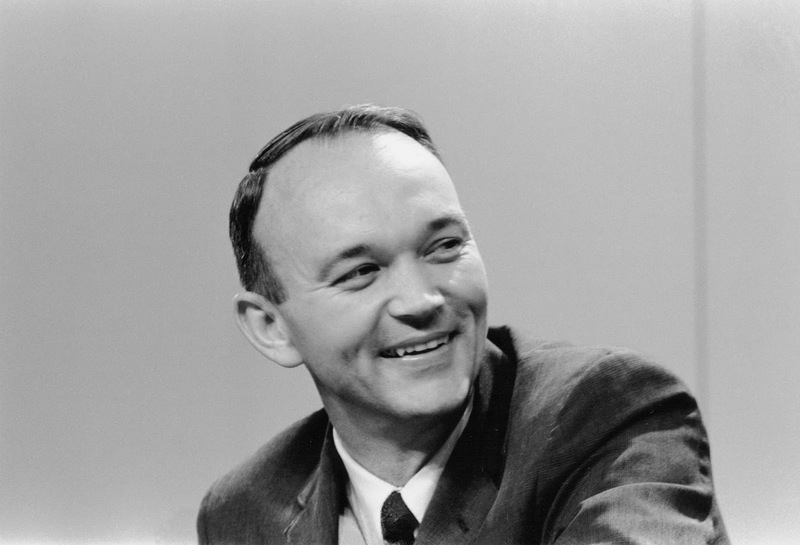 Where another person might have resented watching Armstrong and Aldrin walk on the Moon while he could only orbit it, Michael Collins focused on how lucky he was, sayingsomething to the effect: “I’ve got the best seat in the house.” I think we can all learn something from that. TSA:What kind of research did you do before and during the time you wrote this book to make it so period-accurate? 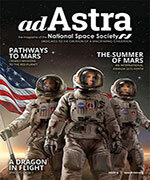 Did you base some of it on, perhaps, your own childhood fascination with the Apollo missions? Were you a childhood “space nerd”? First and foremost, you have to be entertaining – because if you’re not that, no one will still be reading the story when you get around to the deeper messages you hope to convey! But I do hope that, in addition to being entertained, my book will function as almost a “gateway drug” to young readers, getting them more interested in science and space. In terms of the book being period-accurate, that comes from two things: 1) my own memories of pop culture from the time, and 2) a lot of research – I read several books and, of course, Wikipedia is my friend. TSA:One of the best things, I think, about I Love You, Michael Collins is that the protagonist, Mamie, is female. You’d think, stereotypically, that mostly boys and young men would only be interested in spaceflight, especially during the late 1960s. Was it important to you to make the protagonist a spirited girl? Baratz-Logsted:I can’t say that was a conscious decision on my part. With 30+ published books to my credit – books for adults, teens and children, spanning a wide variety of genres – it’s more like that whenever I do get an idea for a new story I’m itching to write, the character or characters best suited to tell the tale simultaneously emerge in my mind. In this case, that was Mamie. But I do think you’re right about the stereotypes, so I’m happy to go against that. Mamie starts out not looking at it from a space/science angle; rather, her interest in Apollo 11 comes from a human angle – she feels sympathy for Michael Collins. It’s only once that kicks in that she starts becoming more interested in Apollo itself and even how rocket ships work. 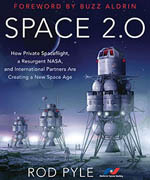 Hey, if my book can get girls more interested in space, I’m all for it! And I hope boys won’t shy away from it because the protagonist is a girl or it’s got the word “love” in the title. TSA:Another facet addressed in the book (with subtlety) is the growing role of the woman in society during the late 1960s. Mamie’s mother is unhappy with her only role as a housewife, and obviously wants more out of life. Was this inserted in the book to give young people insight into changing gender roles during that time, and why is this significant? Baratz-Logsted:Well, I did have to find a way to get Mom out of the house! And then Dad would have to follow her, so Mamie could have her own adventure of staying with the ship, just like Michael Collins. Beyond that, I do think that without turning novels into history lessons, it’s useful to show contemporary kids how times have changed. 1969 was of course a year of huge change. In addition to putting a man on the Moon for the first time, the Vietnam war was going on, the Civil Rights movement was going on, and women’s roles were evolving at a faster rate, with many women no doubt feeling the same dissatisfaction that Mamie’s mom expresses. A lot of the issues of the time are alluded to, however briefly, in the book – again, you don’t want to turn a novel into one long history lesson. But I hope that readers close the book thinking that between seeing men finally walk on the Moon and witnessing the changes in her own family, while Mamie still might not know what she wants to grow up to be in life, for the first time she’s sure she can do anything she wants to do – she’ll be able to achieve her dreams once she knows what those dreams are. I hope young readers will feel that way about their futures, too. TSA: Finally, was the real Michael Collins happy with the book? What were his thoughts? Baratz-Logsted: I have no idea! (But oh, how I wish I did.) I did ask my publisher to send him an advanced reader’s copy – like my 17-year-old daughter Jackie said, “If someone wrote a book called I Love You, Jackie Logsted, I’d for sure read it if they sent me a copy!” – and they said that they did, but so far, I haven’t heard anything. I do hope that if it did arrive safely and he had the opportunity to look at it, that he was pleased and understood the spirit with which the book was written: with a sense of lifelong appreciation and respect for everything he has accomplished and everything he still is. Read more about I Love You, Michael Collins on Amazon and Goodreads. Many thanks to Lauren Baratz-Logsted.